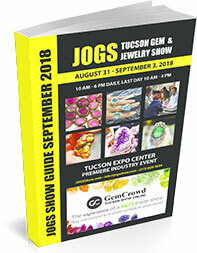 Attending the Tucson Gem Show and want to see which of your favorite exhibitors will be at the JOGS September Restock Show? Below is a list of exhibitors and vendors from the 2018 JOGS September Show. 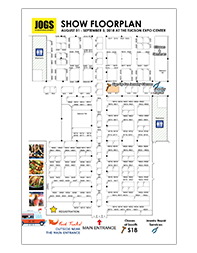 More exhibitors are added closer to the Show dates August 31 - September 3, 2018! One of a kind sterling silver jewelry, with semi-precious stones from around the globe. Bumblebee jasper carvings, beads. Amber jewelry, Turkish and Afghan jewelry, and wood displays. Lapis beads, sculptures & rough jewelry. Hand made sterling silver Turkish jewelry. Diamond gemstones and gem cutter designer. Silver with natural stones and shells, handmade silver jewelry 950, semi-precious stones and corals. The largest supplier of metaphysical jewelry, pendulums, Moldavite and crystals. Unique silver & handcrafted jewelry. Sterling silver, handcrafted designer jewelry. 925 silver jewelry with gemstones. Pave beads, findings and gemstone beads. Cabachons, beads, amethyst, quartz specimens, grape agate, polished lapis and ethnic jewelry. 14K Semi mount Rings, 14K Semi mount Earrings, Semi mount Pendants, 14K Findings, Precious & Semi Precious Gemstones faceted and Cabochons, Alexandrite, Emeralds, Ruby, Sapphire, Aquamarine, Opals, Gemstone Drops and Beads. Druzys, crystals, agates, cabochons and jewelry. Fine gems and fine jewelry. Jade jewelry, carvings, buffalo bone carvings and jade stone carvings. Stainless steel jewelry and designer fashion jewelry. Manufacturer of gemstones and fine jewelry. We manufacture Tourmeline and ceramic hairtools, hair extensions and beauty cases. Ammonite fossils and Ammolite loose gemstones. Southwestern jewelry and stud earrings. Rough stones and cut stones. Bluetooth headset, solar charger and case charger. White & color diamonds, rose cut diamonds, precious stones & fine jewlery & mountings. Designer chains, cabs and free-form gemstones, findings, casting real leaves trimmed in gold, crystals and minerals. Guangzhou Kahkashan Jewelry Co., Ltd.
Lapis lazuli strands, turquoise strands, turmaline, garnet. Jewelry made out of silver and Jerusalem stones and Jerusalem glass. Semi-precious and precious beads, gemstones, and cabochons. Opal jewerly, cabs and crocodile leather products. Natural gemstones, beads, rough stones, different kinds of charms, chains, necklaces, bracelets and fossils. Sterling Silver jewelry with semi-precious stones (opal, amethyst, moonstone, topaz, citrine, peridot, garnet). New Modern Sterling Silver Collection with druzy and marcasite. Jewelry and bead making tools, findings, wires. Jewelry making classes. Hand crafted gemstone delicate jewelry in 14kt gold and sterling silver. Clasps, connectors, cones, pendants, earrings, bracelets, rings in silver and bronze. Wholesale custom jewelry & accessories. Turquoise rough and turquoise cabochons. Gold plated and silver handmade jewelry. 3841 50th Street, Suite B.
Swarovski crystals, designer exclusive jewelry, silver jewelry and stone beads. Minerals and fossils from Madagascar. Sleeping beauty turquoise, cabochons & beads, coral cabochon & beads. Larimar and amber from Dominican Republic. Cabs, slabs, beads, finished jewelry and more. Amber with fossils. Rough stones and handmade carpets. Amethysts, agates and more Brazilian crystals. Geodes, druzys, clusters, cathedrals, druzy pendants, rings, earrings and bracelets. Colored gemstones & silver jewelry. New Century Int'l Wholesale Inc.
Estate jewelry, vintage designer jewelry watches and handbags. Crystals from Brasil, Specimens, Jewelry, Polished and Rough stones. Antique beads from Himalaya and Tibet jewelry. Diamonds, fine jewelry, platinum, 18K, special orders. Handmade jewelry from different parts of the world and vintage estate pieces. Findings, gemstones, beads & chains. Angel Aura and Aqua Aura products. Pendants. Carvings. Cab.925 Sterling Silver pendants. Turquoise cabochons, rough turquoise, cabochons, dioptase. Sterling silver jewelry and chains. Vintage beads, chains, buttons and antique jewelry. Designer handmade metalmesh and industrial materials, semi-precious stones and pearls. Gemstone necklaces, bracelets, rings, earrings & pedants. Importer & exporter of wholesale products. Australian opal gemstones, jewellery, & rough stones. Czech glass buttons, findings and beads. Designer jewelry and semi-precious jewelry. Pewter, Findings. Lampwork Beads, Rocks, Minerals, etc. The finest mineral specimens, gemstones and cabochons from this world and beyond. Meteorite, moldavite, amber, silver jewelry, Navajo pottery. Black opals from Lighting ridge N.S.W and rough cabs. Opal, sugilite, gem silica jewelry; Historic American and Other Turquoise Cabochons and rough materials.